Harvard experts provide access to Vietnamese sources on the war. 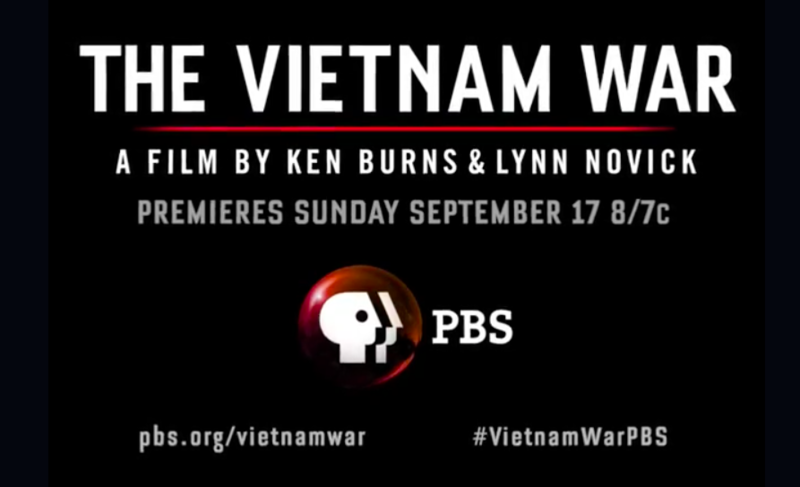 When audiences nationwide encounter The Vietnam War, the new documentary series directed by Ken Burns and Lynn Novick debuting on PBS on September 17, they will likely find the experience plunging them into a deep, raw fissure in American history. It is those living memories that have a more immediate impact than the other great conflicts covered in Burns’s prior documentary, The Civil War, and the previous Burns-Novick collaboration, The War (on World War II). Few U.S. viewers are likely to be aware that much of the film’s emotional power and new (for them) information about Vietnam reflect the essential contributions of Harvard affiliates who have worked in that country for decades. The doors they opened, according to Burns and Novick, transformed The Vietnam War. Part of its impact, inevitably, reflects the fierce divisions the Vietnam conflict opened on the American home front. The film probes the passionate differences between those who supported the war and those who opposed, or came to oppose, it. In part by mining tape recordings of presidential conversations, it documents, painfully, citizens’ widening mistrust of a succession of administrations in Washington that the public came to feel had lied about the aims and status of the war. It is sobering to hear, unfiltered, soldiers’ accounts of their experiences in Vietnam followed by, in one instance, an end-of-duty return to raw racism upon arriving at Boston’s Logan Airport, and, in another, conversion to advocacy with Vietnam Veterans Against the War. Another element is the obvious outcome: an outright military failure for the United States, at the cost of more than 58,000 soldiers’ lives and the ordeals of prisoners of war. The Vietnam War gives voice to a family shattered by the death in combat of a young son and brother. It also narrates the arc of a captured American who was forced to march hundreds of miles through the jungle, as his young family, long unaware of his fate, came to public prominence speaking out against the war. North Vietnamese regulars, officials, and other observers, who recount their combat stories, the killing they did during the war, their grievous losses of colleagues, and their own government and party’s often costly divisions on strategy and tactics. Americans, familiar with the division between U.S. draftees and those who avoided service, may be surprised to learn that North Vietnamese leaders managed to shelter their children at school in the Soviet Union and elsewhere, while sending the rural populace to do the fighting. The Vietnamese perspective—how the North and South framed what they were fighting for, at what cost, and their views of the Americans—appears here, powerfully, thanks to two Harvard affiliates. Thomas Vallely, now senior advisor on mainland southeast Asia at Harvard Kennedy School’s (HKS) Ash Center, long directed its Vietnam program overall. Ben Wilkinson ’98 (who learned Vietnamese during his undergraduate studies) was, as program director, based for a decade at the Fulbright Economics Teaching Program, in Ho Chi Minh City—a school, modeled on HKS’s public-policy master’s degree, that is transitioning into Vietnam’s first academically independent university. (Wilkinson now works on behalf of that new university full time.) Their work developing the Fulbright school, and building ties to and providing education for many of Vietnam’s leaders, is reported in depth in “A Nation, Building” (May-June 2014, with updates on the progress of the nascent university, to which President Barack Obama, Secretary of State John Kerry, and Harvard president Drew Faust, earlier this year, have since paid visits). At the Metropole Hotel, in Hanoi, following a screening of excerpts from the film for interviewees who appear in it. Left to right: Lieutenant General (ret.) Lo Khac Tam, associate producer Ho Dang Hoa, co-director Lynn Novick, Le Minh Khue (writer and former youth volunteer on the Ho Chi Minh Trail and combat correspondent), senior advisor Thomas Vallely, Bao Ninh (veteran and author of The Sorrow of War), consulting producer Ben Wilkinson, and Pham Luc (military painter). Vallely is identified as senior advisor to The Vietnam War, and appears in several episodes: recounting his decorated service as a U.S. Marine in 1969; expressing his revulsion at war crimes; returning to the country in 1985 as its leaders sought an alternative to the failure of its Stalinist economy during the prior decade; and speaking about the challenges of reengaging Vietnam with the United States and the world after the war. Wilkinson, a consulting producer, is also credited as a translator—roles that encompass his myriad engagements, spanning six-plus years, on the series. Vallely and Wilkinson drew on their wide and deep contacts in Vietnam, and the trust they have won throughout the government and society, to gain permission for the moviemakers to interview and film (Lynn Novick did the majority of the interviews for the entire series); to identify subjects; and to manage the formidable logistics of doing this kind of documentary work, on this scale, in what remains a Communist country—albeit one with which the United States now enjoys mutually supportive relations that would have been inconceivable a few decades ago. Ho Dang Hoa, one of the students who came to the United States to study as a Fulbright scholar (and work for a while at the Harvard Institute for International Development) when Vallely and colleagues were responsible for running the program, came aboard as the Vietnamese producer for the film. As a veteran of North Vietnam’s military, he was trusted locally and had informal contacts that no outside figure could hope to assemble, making him an invaluable source for tracking down participants in the events covered in the series. Reflecting these many contributions, Florentine Films—the production company Burns founded in 1976—has returned the favor. Wilkinson noted that the moviemakers screened episodes for Faust before her visit to Vietnam last March. She then visited a battle site in the Mekong Delta featured in the movie, meeting with veterans involved in the filming, and had a separate visit with one of the Vietnamese principals in Hanoi. Measured by mortality, of course, the American phase of the war in Vietnam pales in comparison to World War II, “the worst war ever,” Burns said. And measured by American casualties, the Civil War far outranked Vietnam (some 750,000 killed, versus 58,000). But compared to the “unambiguity” of those earlier wars, “You don’t have that story line in Vietnam,” Burns said: from the American perspective, there was no redeeming outcome. “I cannot imagine at all what we would have done” absent the Harvard experts’ help, Novick said. And their role was not merely informational or instrumental: Botstein recalled a high-school paper Wilkinson had written on the battle for Hill 875, one in a series of brutal and bloody Central Highlands engagements in late 1967 preceding the Tet Offensive. During the filming, she said, a Vietnamese participant in the battle was interviewed—with overwhelming effect on the moviemakers, listening in on headsets, as Wilkinson provided a translation and commentary. That is one example from many, Novick said, of Wilkinson “challenging us to ask the right questions about the war and what it means for us,” in ways that changed the course of the series. From an August screening of excerpts from the film at the American Center of the U.S. Consulate General in Ho Chi Minh City: on the stage, left to right, are Tom Vallely (senior advisor to the film), Ho Dang Hoa (associate producer), Lynn Novick (co-director), and Ben Wilkinson (consulting producer). Another obligation has been fulfilled as well. Reflecting the spirit of their decades-long effort to reengage the United States and Vietnam with each other, Vallely and Wilkinson accompanied Novick to Hanoi and Ho Chi Minh City in late August to screen excerpts from the series for Vietnamese interviewees and public audiences there. And in a continuing commitment to respect all the perspectives captured in the full episodes, Florentine Films insisted that the entire series be translated into Vietnamese—months of work involving language experts from Vietnam and the West Coast who came to the WGBH studios in Boston. Vallely, Wilkinson, and Hoa were again involved. On September 17, as U.S. viewers begin seeing the first episode, PBS will begin streaming The Vietnam War, fully subtitled, to that country. Biên tập viên: THE VIETNAM WAR, phim tài liệu dài 18 tiếng của Ken Burns và Lynn Novick sẽ ra mắt vào ngày 17 tháng 9 năm 2017 trên đài truyền hình PBS. Nó kể về câu chuyện sử thi của một trong những sự kiện gây nhiều tranh cãi nhất trong lịch sử nước Mỹ. Burns và Novick đã trải qua 10 năm làm phim. Câu chuyện bao gồm lời tường thuật của gần 80 nhân chứng từ mọi phía - những người Mỹ chiến đấu trong chiến tranh và những người chống lại chiến tranh, cũng như các chiến binh và thường dân từ Bắc và Nam, Việt Nam. Biên tập viên của hãng New America Media, Andrew Lam, người Việt Nam đã đến Mỹ lúc 11 tuổi vào cuối cuộc chiến, đã phỏng vấn hai nhà làm phim. Cha của Andrew Lâm, Trung Tướng Lâm Quang Thị, cũng được phỏng vấn trong bộ phim. Hỏi: Tại sao ông quyết định làm phim về đề tài chiến tranh Việt Nam? Ken Burns: Lynn Novick và tôi đã hoàn thành bộ phim tài liệu năm 2007 mang tên “Chiến Tranh" về Chiến Tranh Thế Giới thứ hai và tôi đã nhìn cô ấy và nói rằng "chúng ta phải làm phim về Việt Nam." Việt Nam là sự kiện quan trọng nhất trong lịch sử nước Mỹ kể từ Chiến Tranh Thế Giới thứ hai. Ngày nay chúng ta là hạt nhân của tình trạng chia rẽ và phân biệt đối xử và phân biệt đối xử có tính cách đầu tiên trong cuộc chiến tranh ở Việt Nam. Ngày nay, đa số những vấn đề về sự chia rẽ xã hội, sự chia rẽ giữa các đảng phái chính trị, và sự xa lánh xã hội đều bắt nguồn từ chiến tranh Việt Nam. Nhưng hầu hết người Mỹ không biết nhiều về điều đó. Vì nó không có kết quả tích cực nên họ đã cố gắng lờ đi, và do đó họ không đón nhận những dữ kiện nghiên cứu lịch sử được thực hiện trong 42 năm qua từ nhiều phía khác nhau về chiến tranh Việt Nam kể từ khi Sài Gòn thất thủ. Hỏi: Cô rút ra được điều gì sâu sắc sau những cuộc phỏng vấn, đặc biệt với những người Việt Nam ở cả hai phía của cuộc chiến? Lynn Novick: Khi chúng tôi bắt đầu dự án, tôi không biết gì. Tôi là người Mỹ điển hình, người không biết nhiều về cuộc chiến tranh ngoài nền văn hóa nhạc Pop, và chắc chắn không biết những gì đã xảy ra ở cả hai phía Bắc và Nam Việt Nam. Điều thực sự đáng ngạc nhiên là chiến tranh vẫn dường như đang diễn ra trong thâm tâm những người mà chúng tôi phỏng vấn rất lâu sau khi chiến tranh kết thúc. Đó vẫn là vấn đề gây tranh cãi, chưa được giải quyết và đất nước vẫn chưa hòa hợp. Họ vẫn phải vật lộn với câu hỏi về cái giá của chiến tranh, và cái giá mà người Việt Nam đã trả và vẫn đang tiếp tục trả. Câu chuyện đó vẫn đang xảy ra giữa các cựu chiến binh và thường dân ở tất cả các bên. Chúng tôi đã không lường trước đầy đủ về sự xung đột đã diễn ra trong thâm tâm của những người mà chúng tôi phỏng vấn. Tôi đã dành rất nhiều thời gian để nói chuyện với những người Mỹ gốc Việt đã trốn khỏi Việt Nam sau chiến tranh. Quá trình làm phim đã thực sự cho tôi một sự hiểu biết sâu sắc về chiến tranh là như thế nào đối với người Việt Nam, cả từ phía thắng cuộc lẫn bên thua cuộc. Ken Burns: Bộ phim này là một sự cố gắng để tôn vinh tất cả các quan điểm của người Mỹ, từ những người đã phản đối chiến tranh cho đến những anh hùng phi thường trên trận chiến. Hỏi: Quan điểm của ông về cuộc chiến tranh Việt Nam như thế nào trước khi bắt đầu thực hiện bộ phim? Và điều gì khác biệt khi bộ phim được hoàn thành? Ken Burns: Thật sự khác biệt. Tôi không thể nhận ra tôi đã như thế nào trước khi bắt đầu dự án. Tôi lớn lên trong khuôn viên đại học trong những năm 1960 với tinh thần phổ biến thời đó là chống chiến tranh. Tôi đã rất sợ bị bắt đi nghĩa vụ quân sự. Vì vậy, đó là một khoảng thời gian rất rối bời với tôi. Do kinh nghiệm đó tôi đã nghĩ “Tôi nên làm một dự án mà tôi biết nhiều,” nhưng tôi nhanh chóng phải chấp nhận rằng tôi không biết gì về chiến tranh Việt Nam. Do đó, cuối cùng tôi đã suy nghĩ rằng "Tôi sẽ làm một sự án mà tôi biết một chút gì đó" Và tôi phải buông bỏ tất cả những quan niệm và kiến thức bề ngoài đó và chấp nhận sự phức tạp của cuộc chiến này, học tất cả những điều mới. Giống như về chuyện những người lãnh đạo Bắc Việt Nam thực sự là những ai, và thực sự những gì đã xảy ra với sự kiện Vịnh Bắc Bộ, và những cuốn băng cassette của tổng thống tiết lộ ai là Lyndon Johnson, ai là Richard Nixon. Hỏi: Có rất nhiều yếu tố trong thời hiện tại của chúng ta có vẻ như là một tiếng vang của thời kỳ Chiến tranh Việt Nam. Ken Burns: Tất cả lịch sử vang vọng vào hiện tại vì bản chất con người không bao giờ thay đổi. Không bao giờ. Và vì vậy chúng ta không nhận ra lịch sử lặp lại chính nó. Chúng ta không bị lên án lặp lại những gì chúng ta không nhớ. Chúng ta chỉ nhìn thấy mình trong những sự kiện trong quá khứ. Đáng lẽ tôi có thể bắt đầu cuộc trò chuyện này bằng cách nói “ Andrew, tôi đã trải qua 10 năm của cuộc đời mình để làm câu chuyện về một cuộc biểu tình tập thể diễn ra trên khắp đất nước chống lại chính quyền hiện tại. Đó là về Nhà Trắng trong tình trạng hỗn loạn, bị ám ảnh bởi sự rò rỉ thông tin. Về một vị tổng thống cáo buộc giới truyền thông 'nói láo', nơi mà đã bịa đặt thông tin không chính xác và buộc tội một chiến dịch tranh cử tổng thống về việc sử dụng sức mạnh bên ngoài quốc gia để can thiệp làm ảnh hưởng đến cuộc bầu cử. Và bạn nói : "Trời ơi đó là những gì đang xảy ra tại thời điểm này! “ Và câu trả lời của tôi: “Không, đây chỉ là một số ít trong số rất nhiều điều có thể đã xảy ra trong thời kỳ chiến tranh Vietnam mà vẫn còn vang vọng đến ngày hôm nay." Hỏi: Cô so sánh bộ phim của bạn như thế nào với phiên bản của Stanley Karnow, "Việt Nam: Lịch Sử Truyền Hình," bộ phim được xem nhiều nhất trên PBS vào thời điểm phát sóng? Lynn Novick: Tôi đã không xem nó trong một thời gian dài. Nó là một sự khơi mào trong lĩnh vực báo chí theo nhiều cách. Nhưng nó miêu tả câu chuyện như là một cuộc chiến tranh hai mặt giữa Mỹ và Bắc Việt Nam. Nó đã được thực hiện trong những năm đầu sau chiến tranh. Và miền Nam Việt Nam đã bị loại ra khỏi cuộc chiến, không xứng đáng để được đề cập nhiều. Trong phim chúng tôi đã cố gắng bao gồm những người bình thường, những người bị bắt trong chiến tranh, những người ở nhiều phía của cuộc chiến. Chúng tôi đã cố gắng bao gồm câu chuyện từ nhiều phía của cuộc chiến, để cho tất cả các bên sự tôn trọng như một phần của câu chuyện lớn về những gì đất nước chúng ta đã trải qua cũng như ý nghĩa của nó đối với người Việt Nam. Đạo diễn Ken Burns, bên trái, Trent Reznor, Atticus Ross và đạo diễn Lynn Novick, bên phải, nói về phim tài liệu "Chiến tranh Việt Nam" trên đài PBS trước Hội các nhà phê bình phim truyền hình ở Pasadena, California. Ảnh chụp ngày 15/1/2017. Hơn 42 năm sau khi chiến tranh Việt Nam kết thúc, nhiều người vẫn bị giằng xé vì cuộc chiến không dứt gây tranh cãi này. Nhiều người bình thường thuộc tất cả các bên tham chiến, bị hoàn cảnh đẩy đưa vào cuộc chiến, vẫn bị dằn vặt bởi những dấu hỏi lớn về những nguyên do dẫn tới chiến tranh và kết cuộc bi thảm của nó, với hàng triệu người chết, nhiều triệu người khác mang thương tật hoặc chấn động tâm lý vĩnh viễn. Ngoảnh nhìn quá khứ, họ tự hỏi liệu cái giá mà tất cả các bên – kể cả bên thắng cuộc, phải trả, có quá đắt? Liệu có hay không một giải pháp không đổ máu cũng có cơ may mang lại hòa bình, độc lập, tự quyết cho Việt Nam? Và, nên rút ra bài học nào để tránh lặp lại lịch sử? Phim tài liệu 10 tập, dài 18 tiếng “The Vietnam War, Chiến tranh Việt Nam” của đạo diễn Ken Burns và Lynn Novick sắp ra mắt khán giả trên kênh truyền hình PBS, khởi sự từ ngày 17/9/2017. Đạo diễn Lynn Novick đã dành cho VOA-Việt ngữ một cuộc phỏng vấn sau khi trở về từ Việt Nam, nơi nhiều trích đoạn của tập phim tài liệu được trình chiếu trước một số cử tọa chọn lọc, kể cả một số người xuất hiện trong phim. Mời quý vị theo dõi cuộc trao đổi giữa Hoài Hương và đạo diễn Lynn Novick sau đây. VOA: Tập phim tài liệu này đã mất tới 10 năm mới hoàn tất. Đây là một câu chuyện bi tráng đòi hỏi một nỗ lực làm việc phi thường. Xin bà cho biết kết quả của những nỗ lực đó, bộ phim tài liệu này đã có những đóng góp nào mới để kể lại câu chuyện về chiến tranh Việt Nam? VOA: Thưa như bà nói, phim tài liệu này kể lại chiến tranh Việt Nam theo một cách mới khác với các phim tài liệu trước đây. Bà so sánh như thế nào phim tài liệu này với phim tài liệu “Vietnam: A Television History” của Stanley Karnow? VOA: Về mặt tài liệu, trong quá trình nghiên cứu, các nhà làm phim lần này có được tạo điều kiện để tra cứu những hồ sơ, tài liệu đặc biệt mà trước đây chưa hề được phổ biến? VOA: Thưa bà, trong chiến tranh những hành động tàn bạo thường xảy ra, và cả hai bên đều phạm những tội ác. Truyền thông quốc tế tốn rất nhiều giấy mực để nói về vụ thảm sát ở Mỹ Lai do một đơn vị quân đội Mỹ thực hiện, nhưng dường như giới truyền thông về phần lớn, đã bỏ qua, hoặc tường trình qua loa và một cách không trung thực về vụ thảm sát Tết Mậu Thân năm 1968 do người cộng sản miền Bắc thực hiện. Phim tài liệu của bà và đạo diễn Ken Burns nhắc đến vụ thảm sát ở Huế, mà có người tố cáo là một hành động diệt chủng. Mặc dù Hà nội chưa bao giờ công nhận vụ thảm sát này, trong phim tài liệu này, lần đầu tiên có người bên thắng cuộc thừa nhận vụ thảm sát khi hàng ngàn người, cả thường dân vô tội, bị hành quyết và chôn tập thể. Theo một số nguồn tin, một số người có thể đã bị chôn sống. Xin bà cho biết bà và đạo diễn Burns đã cân nhắc như thế nào và quyết định đưa vụ thảm sát ở Huế vào bộ phim tài liệu này? VOA: Bà vừa sang Việt Nam để trình chiếu và thảo luận về phim tài liệu Chiến tranh Việt Nam cho một số cử tọa. Xin được hỏi nói chung bộ phim đã được đón nhận ra sao? VOA: Vâng, đối với những người đã sống qua chiến tranh, chứng kiến những gì xảy ra trong chiến tranh, họ có những nhận xét gì? VOA: Câu hỏi cuối, 10 năm để thực hiện phim là một thời gian khá dài trong đời. So sánh chính mình khi khởi sự dự án, và Lynn Novick của 10 năm sau? Nói cách khác, dự án này đã thay đổi bà như thế nào?